Business Law, including business formation and business succession planning and implementation. 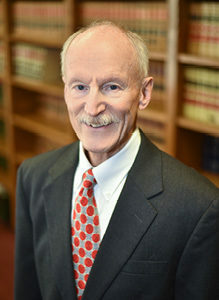 Bob McFate has been practicing law in Venango County and surrounding counties in northwest Pennsylvania for over forty years, beginning with the Oil City law firm of McFate McFate and McFate, where he was in partnership with his father, Benjamin G. McFate and his uncles, William J. and John E. McFate. Before joining Dale Woodard Gent McFate he practiced with Gregory J. Merkel in Seneca, Pennsylvania for many years as the firm of McFate and Merkel. He is a lifelong resident of Oil City where he lives with his wife Melody and is a member of the fifth generation of his family to call Venango County home. They are the parents of three adult children and five grandchildren. 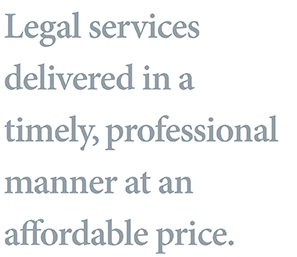 Bob has extensive experience in handling a broad range of legal matters. He possesses the necessary knowledge and expertise to help you with your legal affairs, whether they are of a personal or business nature. He will assist you in addressing and resolving all aspects of your legal issue, always keeping sight of your particular circumstances and individual goals. He will help you tailor a strategy and develop a plan that meets your needs. Bob understands that every client is unique and deserves specialized attention. United States Army, active duty 1968-1971, U.S. Army Reserves 1971 – 1974.